The small gap is a particular feature of amateur players' games, which stronger players instinctively avoid in most cases. It usually arises from some kind of play that is too close. Let's look at the following three diagrams. The concept seems very simple. But one can see this basic mistake in many amateur games, even at dan level. Here's a typical sequence, in which Black is not doing at all well. 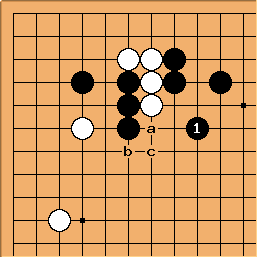 Dividing your opponent's forces is strong (unless they are already strong). On top of that, the smaller the gap through which you push, the stronger the push that divides them. The basic reason for that is that it is easier for them to connect if you do not separate them. Concentrate on the two stones. They are separated only by a diagonal jump; and yet cuts the communication between them extremely effectively. This kind of play, with , is rarely effective because White can make so many cutting points in Black's formation with the plays at a and b. 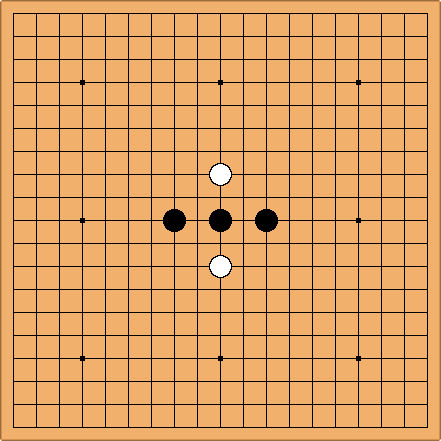 After creating further chances at c and d, it is unlikely that Black would kill White in a handicap game: too many possibilities for White. 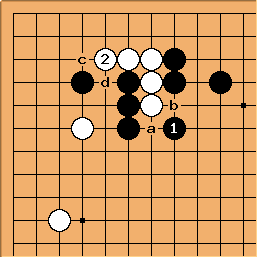 Playing here is the kind of play that in fact makes it easier for Black to attack successfully. If White a Black can choose b or c: in either case the fact that is one line further away is helpful to Black. 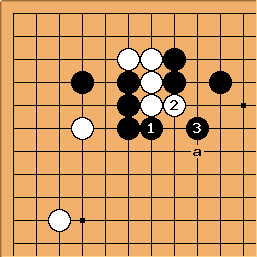 If on the other hand Black doesn't understand the basic principle and plays and , White will be able to cut. 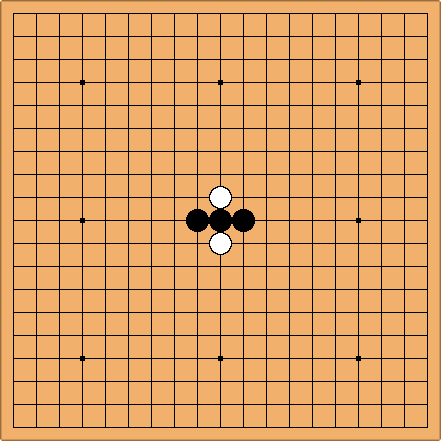 Black should be able to think of playing at a instead. This, for example, is an unreasonable fight for Black since White at a is now strong. 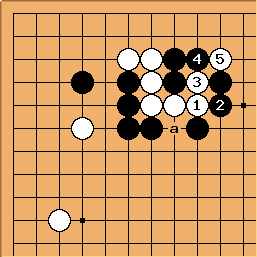 Another way to get the feeling that Black has effectively forced White out through a small gap, is to consider this re-ordered sequence (tewari). In this case (a raw peep), and the bad exchange / , are exactly doing that. 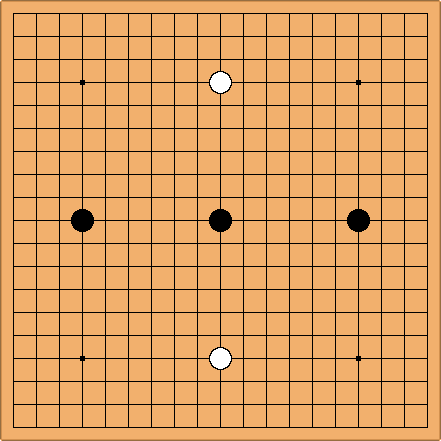 The driving tesuji, which makes use of this idea.